Did you know that our premises are available to hire? Didcot Baptist Church Centre is situated in a convenient location and has rooms of various sizes available to hire which are suitable for a range of different activities and events. We have hosted Adult Education Classes, Junior Tennis, U3A interest groups and exercise classes among others. Our premises are also popular for one off events such as meetings, presentations and family parties, as well as occasions more traditionally associated with church such as weddings, funerals and adult baptisms. 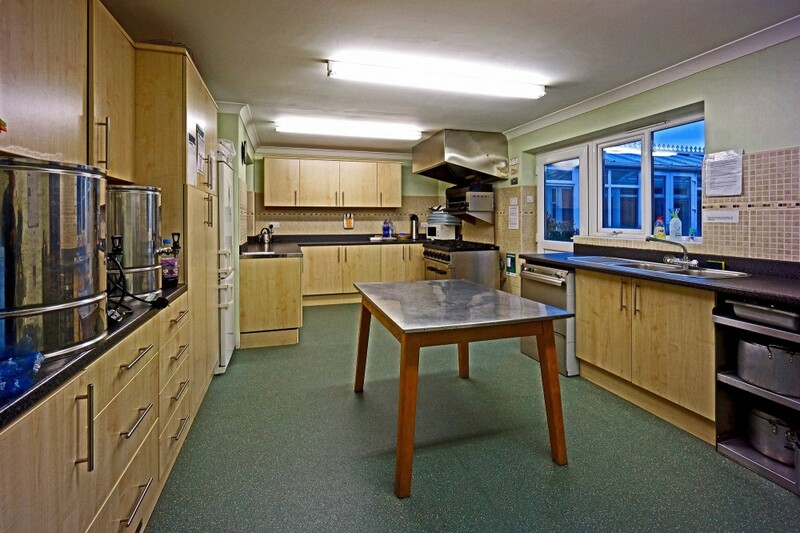 Additionally, we have a large, fully equipped modern kitchen, which can be hired in conjunction with the halls. The Community Hall is a modern space with plenty of natural light. There is ample room for smaller groups, and it has its own kitchenette complete with a kettle, fridge, sink and microwave. The Harry Lewis Hall is our larger hall. With a high ceiling and hard floor, it is suitable for many different uses.The hall has recently been refurbished. The Waves Room is used by our church youth, and is a more relaxed space with two leather sofas and coffee tables. Great for small meetings or one-to-one sessions. The Sanctuary is our main worship area. It has 190 chairs laid out in rows, and is ideal for church services or presentations. There is a screen on the wall for projection, and it has a PA system including a T loop. Our main kitchen has been fully refurbished and can be hired in conjunction with any of the other rooms. It has two hatches one of which opens onto the Harry Lewis Hall and the other onto the Entrance Hall (next to the Sanctuary). It is fully equipped with a large commercial cooker, a commercial dishwasher, a hot cabinet, fridge, microwave, kettles, urns and plenty of crockery and cutlery. If you would like more information about hiring one of our halls, please contact the Premises Manager.